Welcome back to my Sunday book feature. 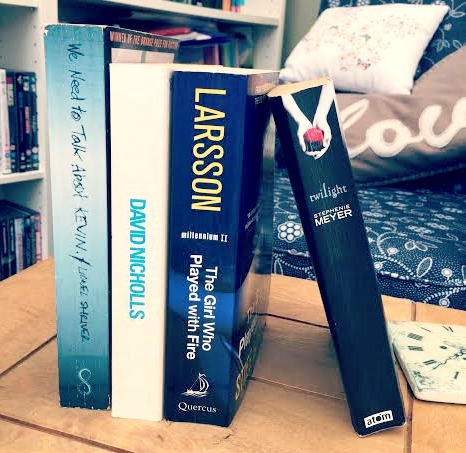 Continuing on from a fortnight ago I’m back with the second half of my favourite novels of all time (from back in the days when I actually had time to read books). You can find my first five here. Otherwise known as The Girl With The Dragon Tattoo et al, these thrillers took the reading world by storm several years back. A work colleague recommended the first one to me and the first one hundred or so pages were hard work. However, the rest of the book – and the subsequent books in the series – were so gripping that the slow start hasn’t prevented this series from making it into my list. The two main characters of Blomkvist and Salander are so very detailed that they really jump off the page to me, their strange relationship is fascinating and the storyline keeps you completely gripped. I read the end of the first book whilst in the bath and stayed in until the water was cold just so I could find out what happened. Sadly, Mr Larsson passed away with a forth novel partly written and notes for several more – I haven’t read the latest offering yet, and not sure I want to given the controversy surrounding it’s publication, but the three original books are brilliant. When Dr David Henry’s twins are born in 1964 he quickly realises that his daughter has Downs Syndrome. He then makes a decision we would now find shocking of leaving her to be raised by someone else and telling his wife she died. And so begins decades of grief and turmoil surrounding one terrible family secret. This is sad, thought-provoking and strangely uplifting by it’s conclusion. Given that I consider myself a lover of fairly serious literature it’s with slightly pink cheeks that I list this entry. But given my total (and continuing) obsession with both the books, the films, the fan fiction and the wonderful fan-base it would be a lie not to include it. Despite Meyer’s fairly mediocre writing and the controversial themes of chastity, sexism & abuse (the latter a little unwarranted, in my opinion), there is something about this story of forbidden love that has connected millions of grown women to the memory of their own first love and teenage obsession. Angst-ridden “vegetarian” vampire Edward Cullen had hearts racing across the generations for many years, and when Rob Pattinson brought him to life on the silver screen the mania only heightened. This saga was a shiver-inducing, spine-tingling, fun-packed ride for several years and I’m glad I was part of it. If you’re not already a parent this book may well put you off ever becoming one! It is terrifying. Written in a series of letters from Eva to her apparently absent husband, this truly chilling story of the aftermath of a school massacre haunted me for years after completing it. The central theme is one of nature vs nurture – are monsters born or do we make them? And what constitutes a monster anyway? And what happens if that monster is your son? I’ll admit this book is heavy going, and I don’t just mean the topic. It’s wordy to say the least and some friends told me they found it a slog, but not me. The thought-provoking themes and moral questions kept me gripped and the graphic twist at the end is as brilliant as it is shocking. Simply put, I read One Day in one day. It was one of the few situations when the term un-put-down-able was completely literal. It was a lazy Saturday a million years ago, when I didn’t have a responsibility in the world, and I read this comedy romance from cover to cover – desperate to see how it would pan out. The shock ending made me gasp aloud, just as earlier lines had had me laughing aloud. David Nichols straddles the tragedy/comedy line so artfully and his more recent offering Us is another example of this brilliance. To this day, I’ve never seen the film as the trailer was more than enough to convince me it would only be a disappointing adaptation. Next Next post: Can Positivity Cure Depression? Ha ha – thought you’d like that part! Ooh not heard of a couple of these so will definitely take a look. I love my books! I haven#t read any of these. 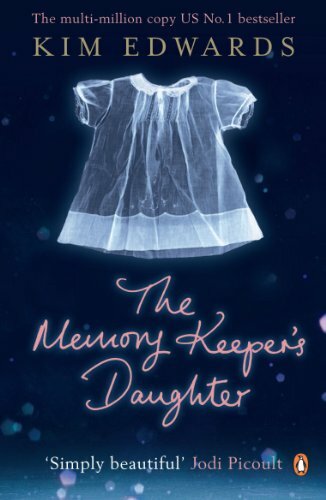 The Memory Keeper’s Daughter sounds intriguing! Great list! I’ve read all of these apart from the Twilight books. I’m pretty sure they wouldn’t be my cup of tea! As it happens I have literally just finished the new Millennium book by the other author and have drafted a review to run on my blog in a few days. I really enjoyed it, but I’m pretty sure it wasn’t as good as the original trilogy. Absolutely loved One Day and have purposefully avoided the film as I thought it would ruin the image I had of the whole story! I too fell in love with Lisbeth a few years ago and nearly gave up after finding the first part tough going. So glad I didn’t. I remember being pregnant on a beach in Lanzarote and shouting out when Lisbeth finally got some justice (but in true Lisbeth style, she showed no emotion.) Funniky enough, on the same holiday, I read One Day (our last hol before children, can you tell?) and loved that also. 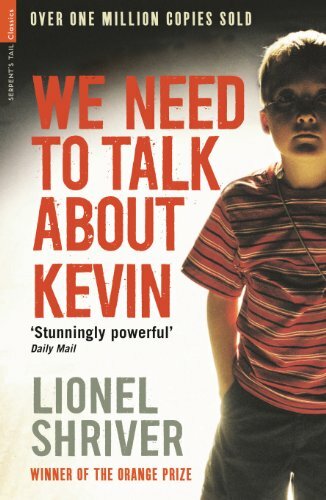 I watched We Need to Talk About Kevin whilst on maternity leave and it left me so despondent that I couldn’t face the book.